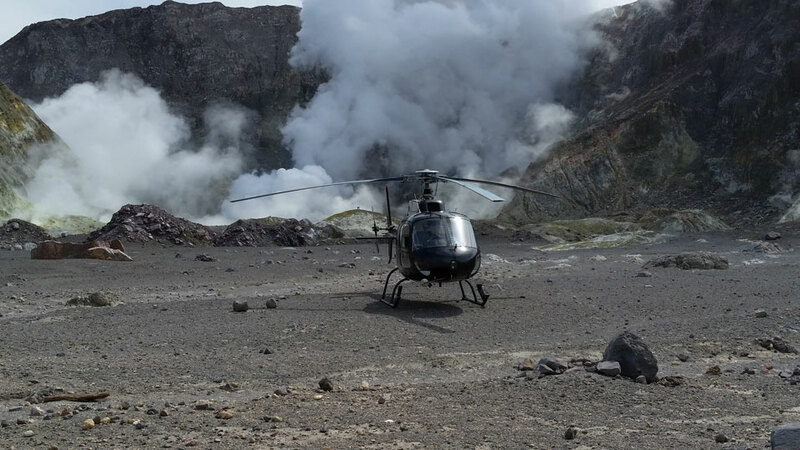 Take a Helicopter flight to White Island and Land on and Active Volcano! Words cannot express the experience that is walking on the active crater floor of White Island. The unique lunar landscape is an integral part of the Pacific ring of fire. This active volcano is located 52 kilometres off the Bay of Plenty coastline. White Island (or Whakaari as it was named by the Maori before Europeans arrived) is New Zealand’s most active volcano and was once home to factory workers who mined the Island for sulphur. Ruined remains of this hard life still exist today. This continuously active volcano, with sulphur-lipped fumaroles, active volcanic vents, steaming Crater Lake, bubbling mud pools, hot streams and desolate mining ruins combined create a surreal experience. You will feel like you are walking on a different planet.